Primer on Short-Lived Climate Pollutants”. IGSD. Feb. 2013. 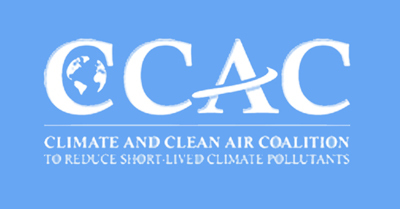 Remarks at the Climate and Clean Air Coalition To Reduce Short-Lived Climate Pollutants Initiative.” U.S. Department of State. 16 Feb. 2012. United Nations Environment Programme (UNEP) , 2011, Near-term Climate Protection and Clean Air Benefits: Actions for Controlling Short-Lived Climate Forcers - A UNEP Synthesis Report. National Research Council of the National Academies, Climate Stabilization Targets: Emissions, Concentrations, and Impacts over Decades to Millennia (2011).